First things first. Who are you trying to reach? The best marketing, PR and digital strategies in the world won’t work if you don’t clearly define and understand your target audience. There's no such conventional wisdom that says, simply attempt to appeal to everyone. Marketing requires discipline beginning with eliminating audiences that are less likely to bare fruit.. Ask yourself, who should be on the receiving end of your content, your marketing, your promotion? Creating a content and sales strategy without a clear understanding of your audience is like setting out on a long road trip with no map. You need to understand not just WHO your audience is, but what their biggest pains and desires are? 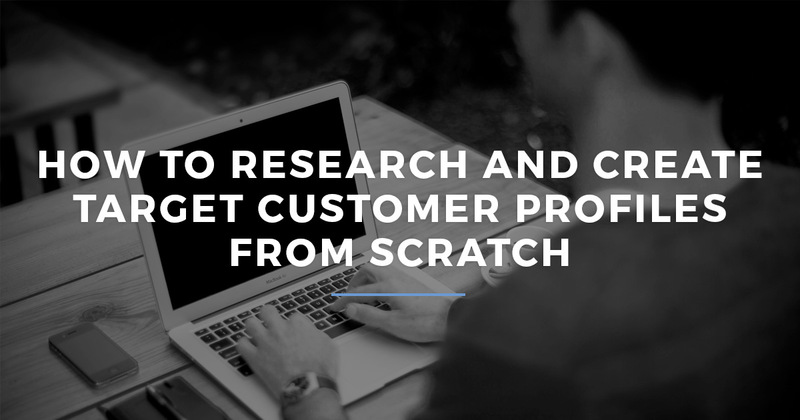 The best audience research includes both quantitative and qualitative. 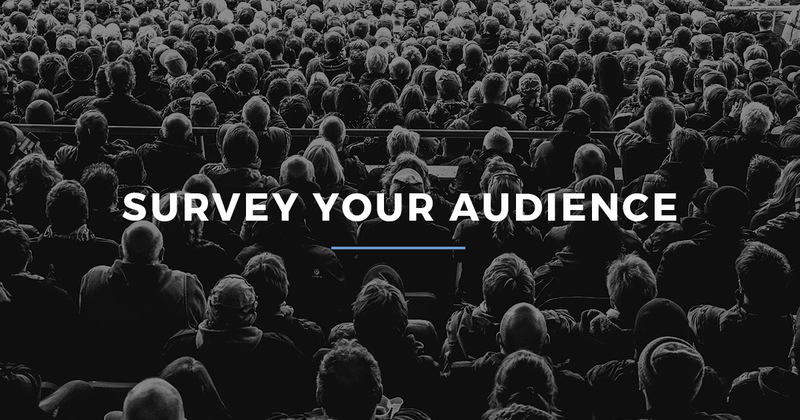 Start with large-scale quantitative surveys, covering the widest cross-section of your audience. One piece of quantitative research can be a structured questionnaire with mostly closed questions. This can be delivered to respondents via email, social media, phone or online survey. Understanding the search and social behavior of your target audience can add another layer to your quantitative research. People read websites, magazines and books, follow sports teams, have titled jobs, embrace thought leaders, work for established companies or disruptive startups, crave different foods and are moved uniquely by art and entertainment. They search Google, like pages in Facebook and belong to associations. Such characteristics and interests can be systematically targeted in search using keywords and social using interest/audience targeting. This is what’s commonly referred to as ad inventory. 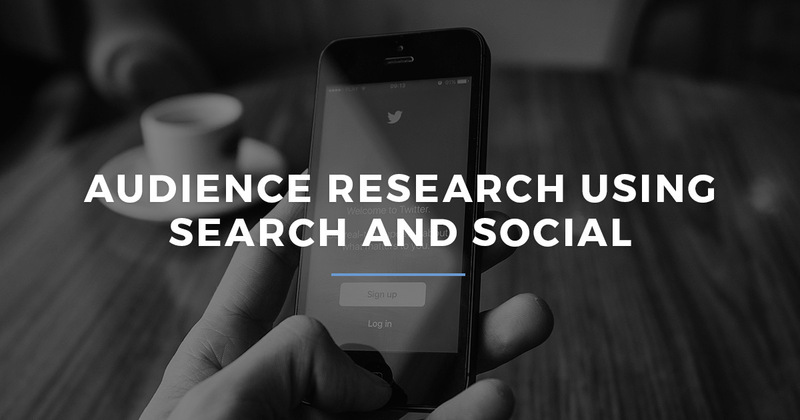 Using the free research tools offered by these platforms, i.e. Google Keyword Planner and Facebook’s Ad Creator, you can create a cross-channel portfolio of attributes and have a deeper view of the vast interests and online behavior of your target audience. Here is an excellent resource by Marty Weintraub on how to use these platforms to think outside the box and start to get a wider view of your target audience segments that matter most. The second important piece is determining how your product or service will fit into your target's lifestyle. This is call qualitative research. Here we uncover more personal characteristics about your audience including personality traits, values and hobbies. People are all motivated by something. It’s your job to find out what motivates the people you are trying to reach. Because you are digging into personal behaviors and traits, this qualitative information is best gathered through a series of interviews, either in person or via phone. A good place to start this research is inside your own company. What are the sales, customer service and product teams hearing and saying? What are the top non-product related questions the sales team hears? What pain points from customers come up again and again? What are the biggest objections you hear when selling? To help guide your internal interviews, we’ve developed a free questionnaire template which you can access below. To get your internal worksheets, customer questionnaires, and buyer persona creation template. Click here to access "The Buyer Persona Toolkit"
It’s also important to find out why your current customer is a customer at all, what process they went through to become a customer, and what parts of the process they liked or disliked. To uncover this information, setup 5 - 10 phone or in-person interviews with recently closed customers. For the interviews to be effective, ask open-ended questions, then let the customer open up with as much detail as possible. There is no perfect formula for questions to ask. The best advice is to just listen and be curious, letting what is said, guide follow up questions. Pay attention to not only what they say, but how they say it, listening for keywords and phrases that you can use in your messaging. 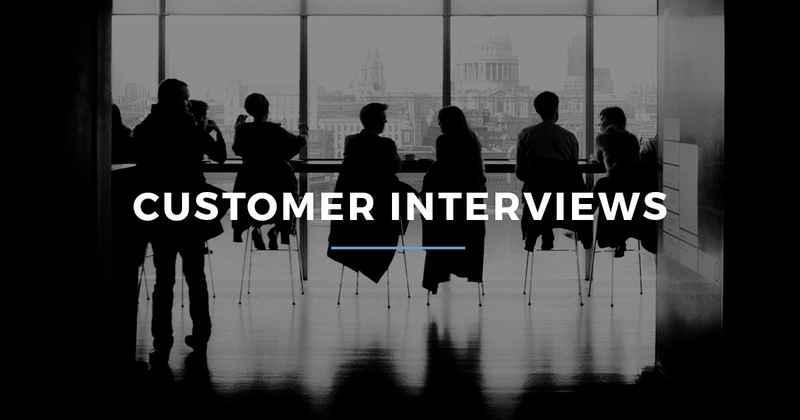 In these interviews we’re trying to flesh out the everyday routines of our customers, along with five stages of the customer’s buying process. Once you feel like you’ve thoroughly covered each section, move on to the next. Take me through a typical workday from the moment you awake to the time just before you sleep. What activities do you typically do? What if any online or offline content do you consume on a regular basis? Take me back to the day when you first decided to evaluate this market? What occurred that made this search a priority? Tell me what you did first to start evaluating your options. Who all was involved in this step of your research? How many vendors did you identify through your initial search? What did you learn about the vendors you decided to consider? What did you like/not like about each? How did you first assess these vendors? How did you evaluate them? Who was involved in this evaluation process? How did you decide which to continue to evaluate? How did you continue to assess your options? How many vendors were you considering in your final evaluation? Who participated in this final evaluation? What factors were you weighing your decision on? Who was involved in the final decision? How did you decide which was best? Audit your contacts database to uncover trends about how certain leads or customers find and consume your content. Consider using social listening software in combination with targeted social lists to zero in on what your customers are saying online. What trending topics are they following most closely? Whom do they usually interact with, and why? You don’t convert every prospect, of course, and understanding why you lost a prospect to a competitor can be just as, if not more important than knowing why you won. Schedule interviews with lost sales opportunities to reveal what your product is missing, where your marketing is missing the mark, and what parts of your sales process need work. 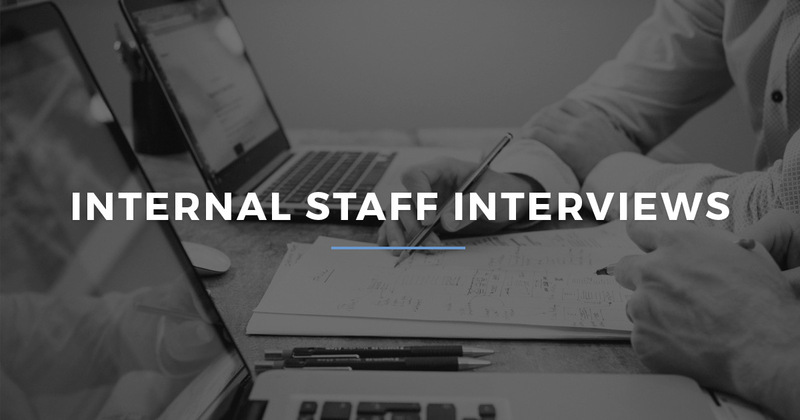 Before running these interviews, it’s important to have a firm grasp on your competitive advantage in order to find out if the interviewee knows about this advantage and if it came across during their research. Also, find out any competitor capabilities or features that might come up in order to find out if the interviewee understands the work around you offer. Utilize the same interview process as above with a slight variation to the Purchase stage. Ask the question “What made you choose our competitor over us?” Their answers will help guide follow up questions. Here are some examples. Are there any capabilities or features that are in our product but not in the product you purchased? Buyers tell us they are willing to pay more for our solution because of (Competitive Advantage). What are your thoughts? What are the consequences of selecting a product that does not have X? Buyers tell us that X is unimportant because we have (Competitive Advantage). What are your thoughts? 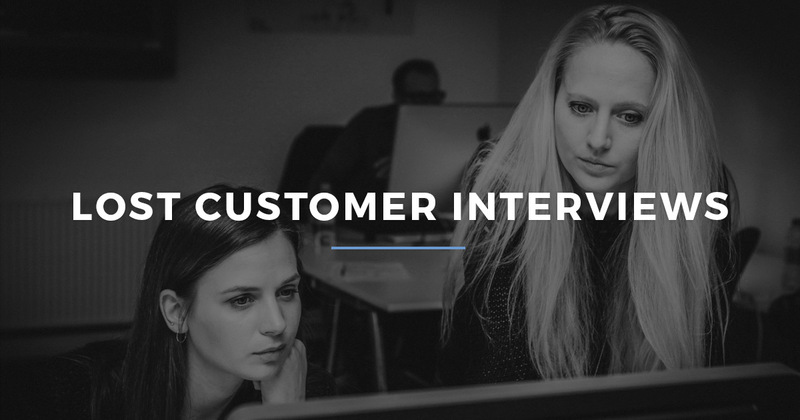 Sometimes one-on-one interviews with customers and lost customers aren’t always possible. When you can’t get the facetime, turn to surveys to reach a broader group. There are quite a few quality survey tools such as Survey Monkey, Google Forms or Zoho Survey. These offer free or low cost options to send questionnaires to your list of contacts. Don’t forget to offer up an incentive. The more responses you get the more in depth your research will be and people need a push to take time out of their day to help you. 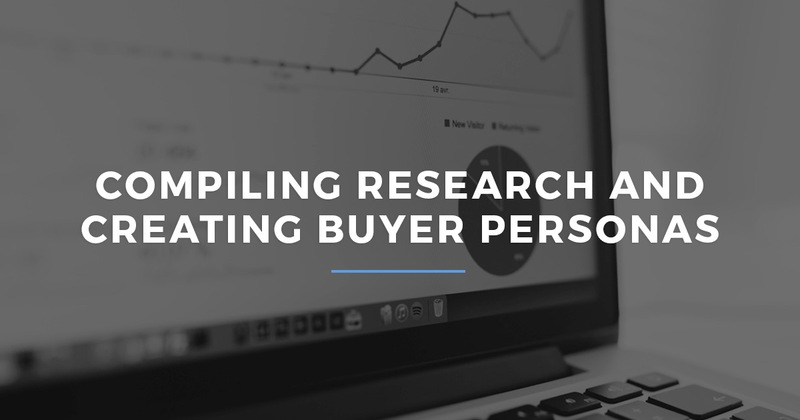 The next step in understanding your target audience is to create your buyers’ personas. Buyer personas are fictional, generalized representations of your ideal customers. They help you understand your customers (and prospective customers) better, and make it easier for you to tailor highly targeted content to the specific needs, behaviors, and concerns of different groups. At the most basic level, personas allow you to personalize or target your marketing for different segments of your audience. Creating buyer profiles that your marketing and sales teams can refer back to is a significant effort, but well worth it. Start small. We recommend you make 2 to 5 personas to represent your audience. Align these trends with the differing stages of the buying cycle to understand what content is needed at each stage to keep new potential customers moving through your sales process. After reading through your research and pulling out the trends, you’ll start to understand your target personas on a deeper level. Use this new insight to create a storyline for your personas. Go into extreme detail. Talk about the daily tasks the person does at their job. Talk about their motivations and desires. Talk about the problems they face on a daily basis. Use actual quotes and keywords from interviews. This story gives marketers, sales reps, and product teams a mental image of a real person with hopes and aspirations resulting in more revenue and better products. In addition to the persona story, be sure to include key data point trends in your buyer persona document. Never created a buyer persona before? Download our free Buyer Persona Toolkit below. You’ll likely never have a perfect understanding of your target audience. Even if at some point you did, your audience members would evolve and change as soon as you figured them out. Knowing your audience is an ongoing task. But keeping your fingers on the pulse of this group is the not-so-secret key to long term success. They’re people who come to you for a reason, who will keep coming back to you, and bring new people to see what you have to offer too. Never created a buyer persona before? Download our free Buyer Persona Toolkit below.